The BAI states it will “promote a plurality of voices, viewpoints, outlets and sources in Irish media”. 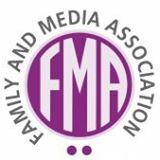 The Family and Media Association (FMA) has urged people to comment on a consultation on media plurality before the end of this month. FMA is sceptical about the Broadcasting Authority of Ireland’s (BAI) record on plurality and diversity in the Irish media, especially after the recent abortion referendum debates, but still urged people to have their say. In December BAI launched the public consultations on the new draft Policy on Media Plurality and on Ownership and Control Policy, seeking views from stakeholders and members of the public. In its Statement of Strategy 2017–2019 the BAI states it will “promote a plurality of voices, viewpoints, outlets and sources in Irish media”. So the consultation is on how the BAI understands and promotes and supports media plurality in Ireland. In the October 2018 complaints report from BAI only 2 out of 20 complaints were upheld in part, and none of the 8 complaints about the referendum and anti-Catholic bias were upheld. Complaints rejected included two pro-choice, four pro-life and two about anti-Catholic bias. The two upheld in part included one about promoting violence against men and another about a court report. For the consultation on plurality, documents are available on the BAI’s website. They include questions on which the BAI is seeking views. Submissions can include a response to any or all of the consultation questions. Submissions must be made by 30 January 2019. Responses can be emailed to [email protected] or a form can be completed online. Postal responses can be submitted to: BAI Ownership and Control Consultation, Broadcasting Authority of Ireland, 2–5 Warrington Place, Dublin, D02 XP29.